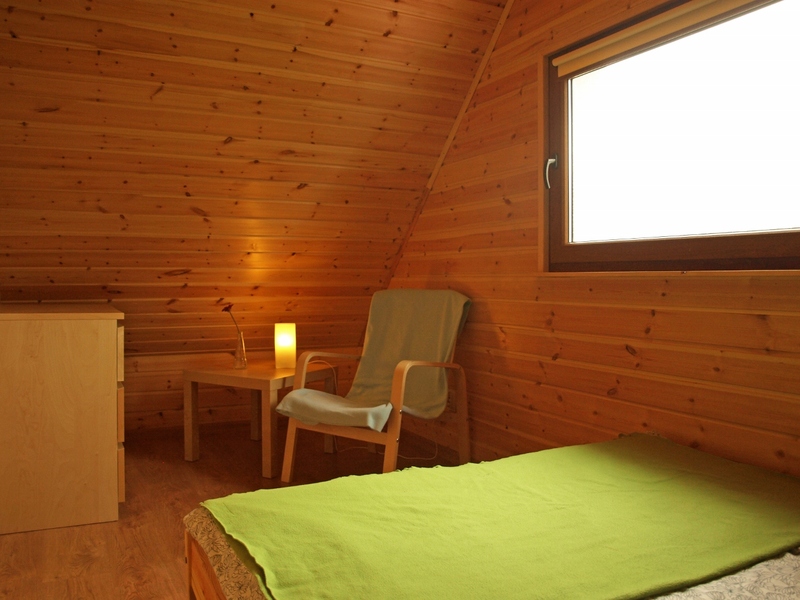 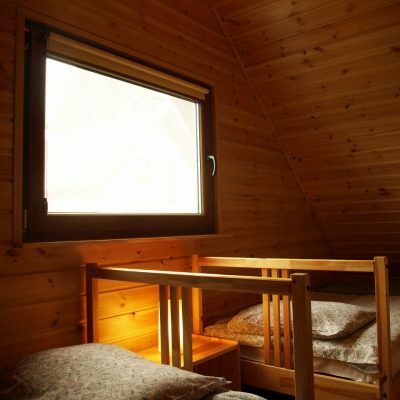 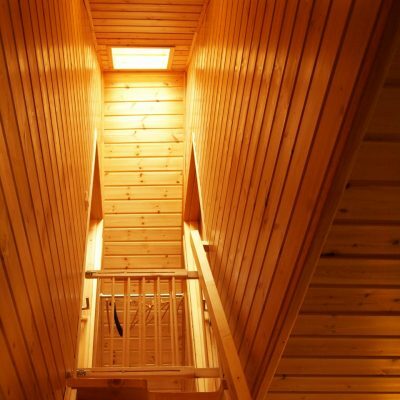 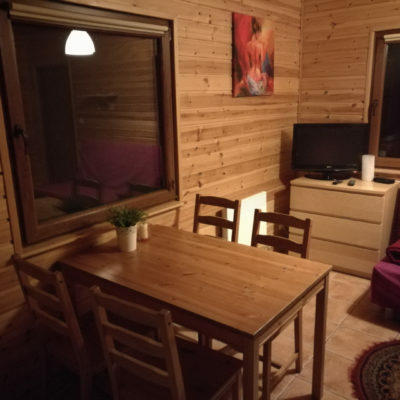 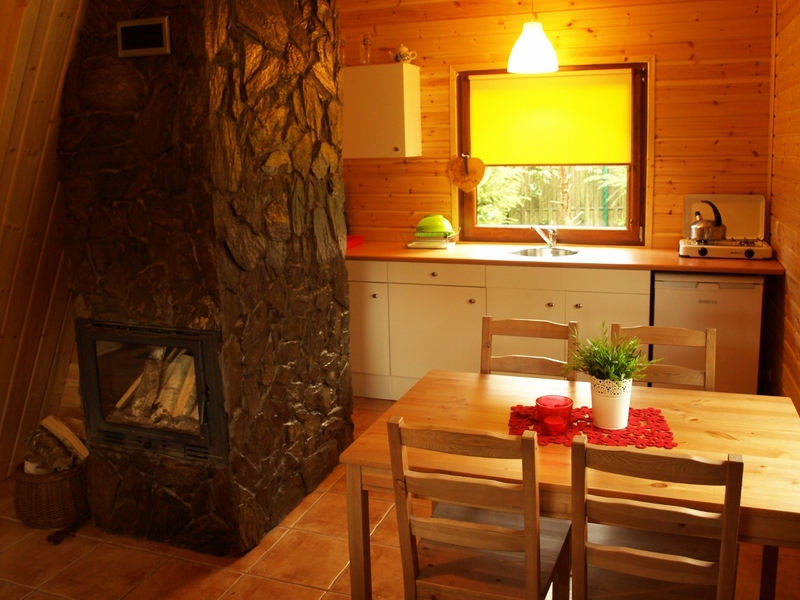 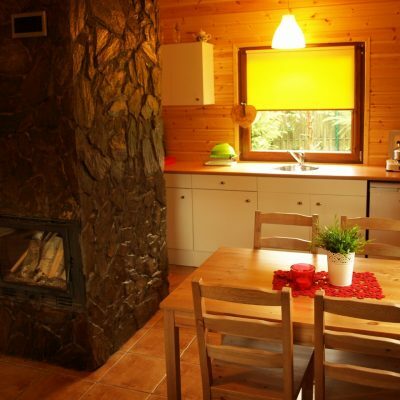 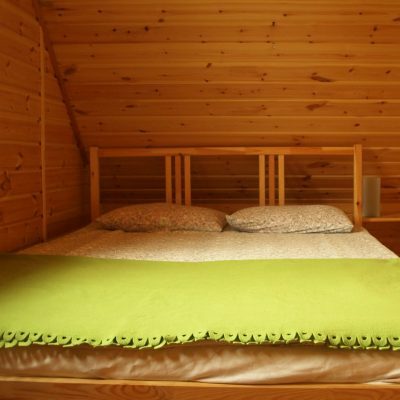 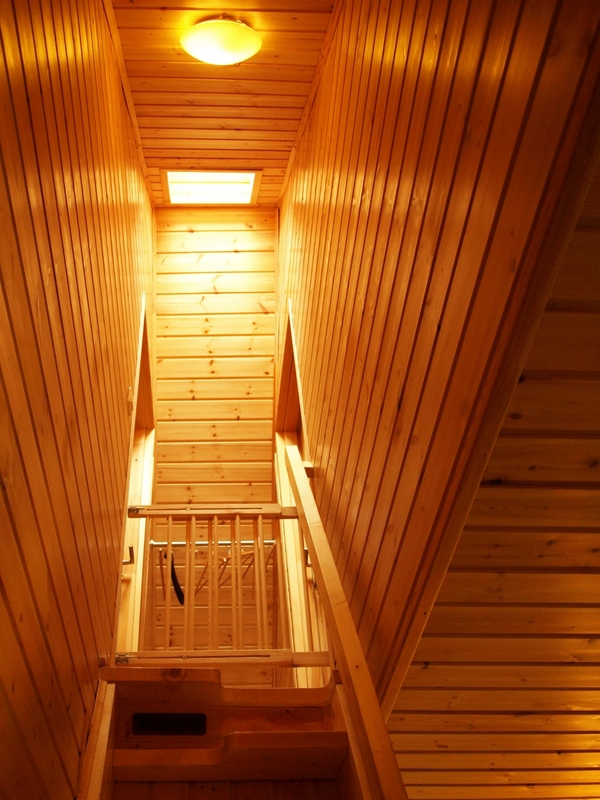 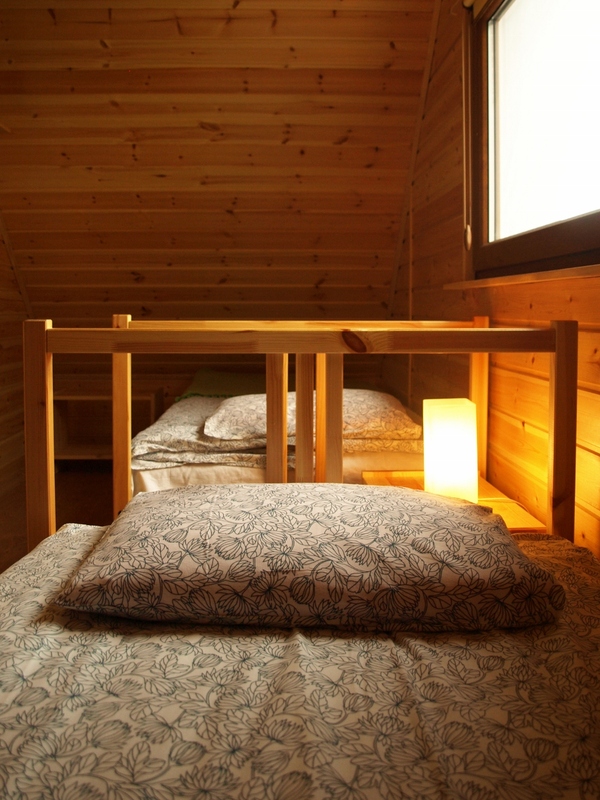 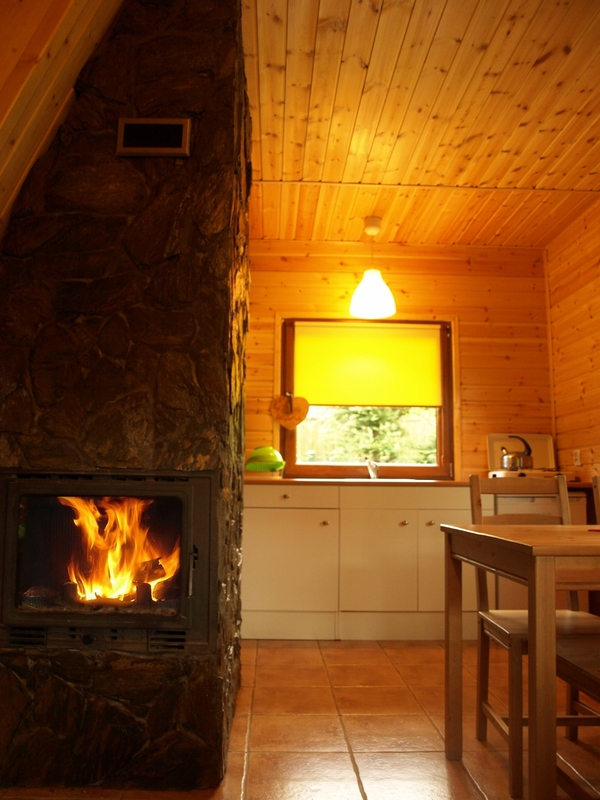 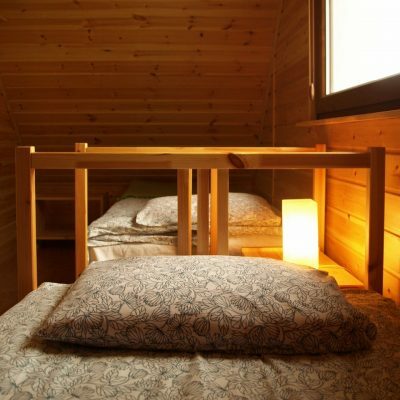 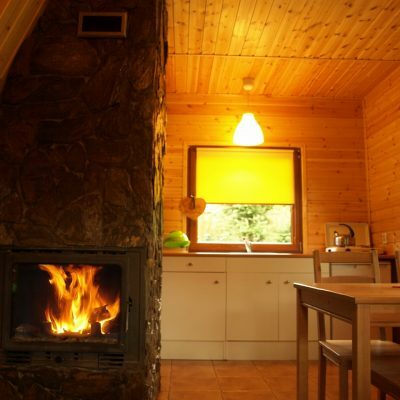 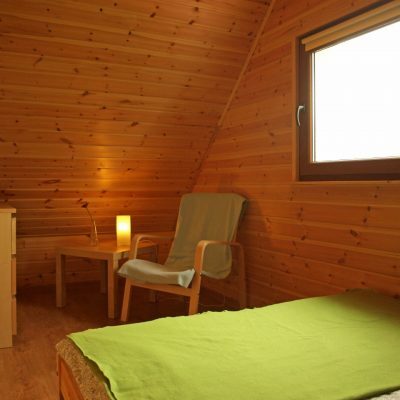 Comfortable cabin to rent in Kopalino with two double bedrooms in the attic. 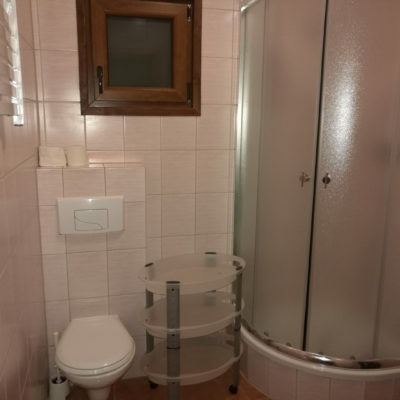 One bedroom with a double bed, while the second room has two single beds. 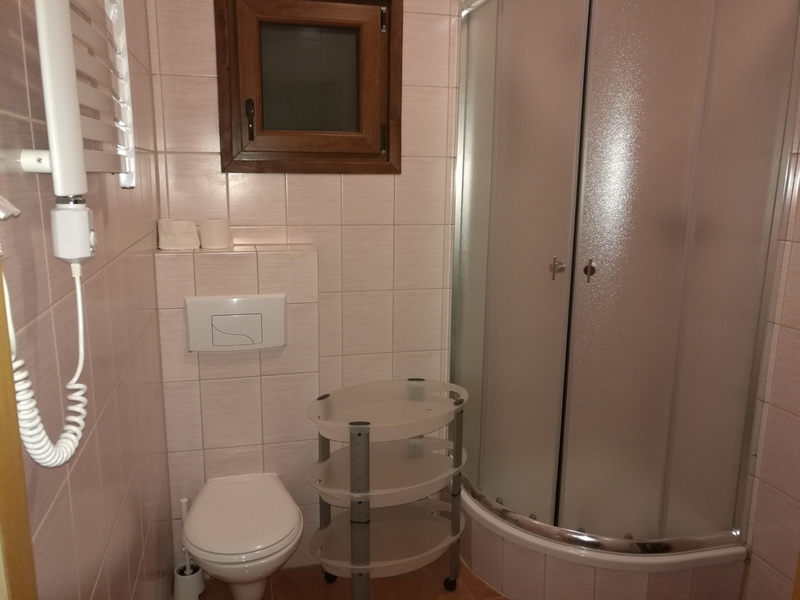 On the ground floor a spacious bathroom and a living room with fully equipped kitchenette (fridge, induction hob, microwave, toaster, utensils, crockery and cutlery). 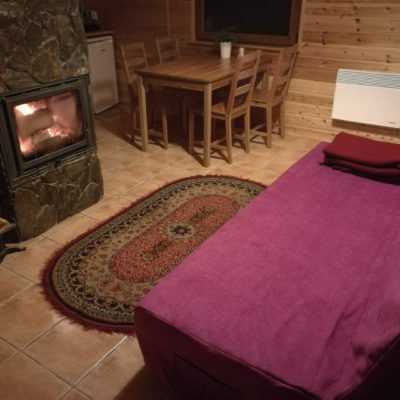 The living room has a sofa bed, fireplace and TV. 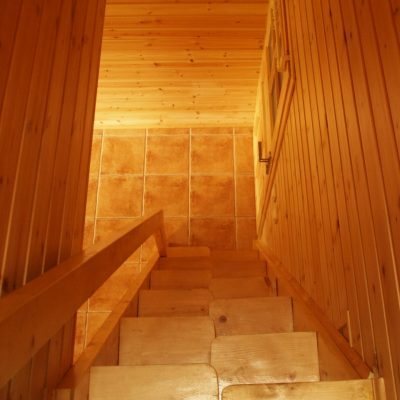 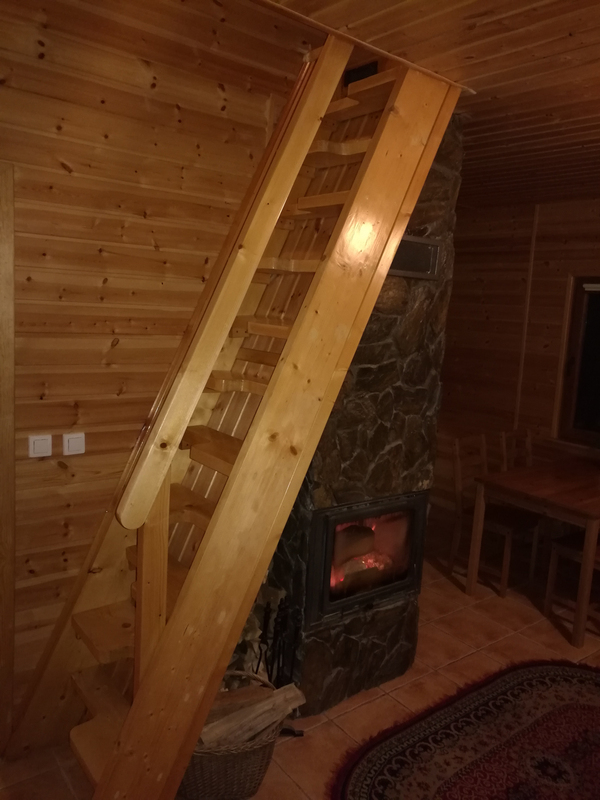 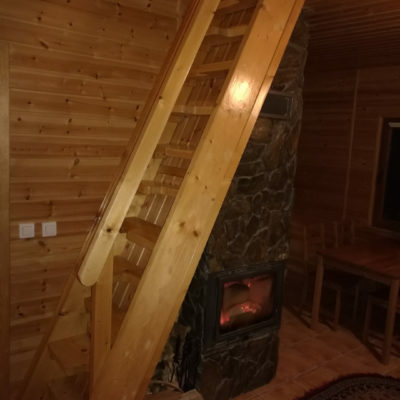 This cabin has quite steep stairs in duck style. 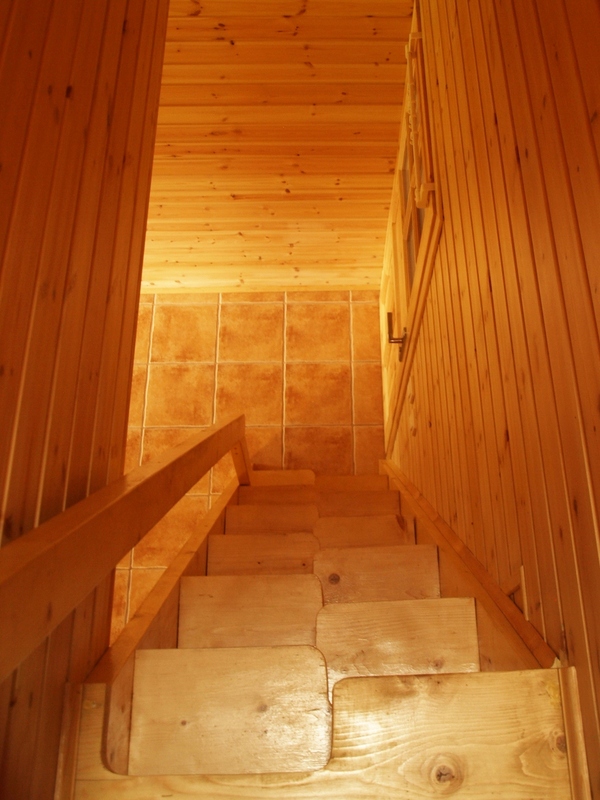 Safety gate for children can be mounted at the top of the stairs. 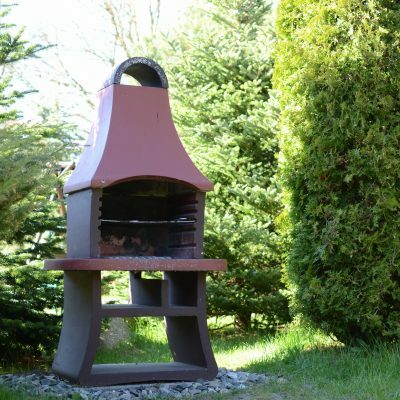 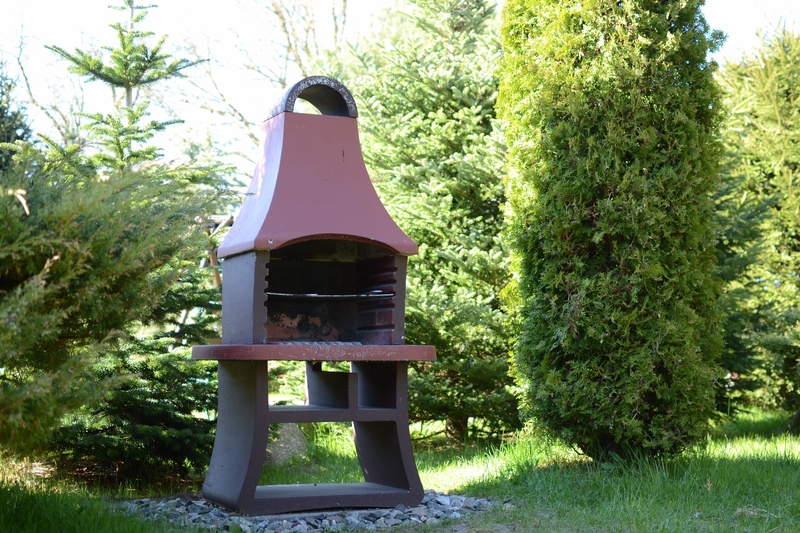 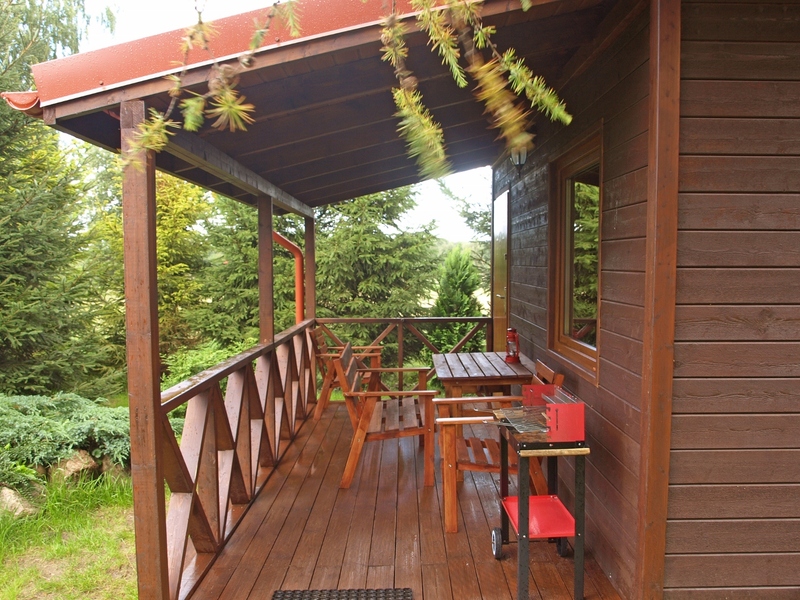 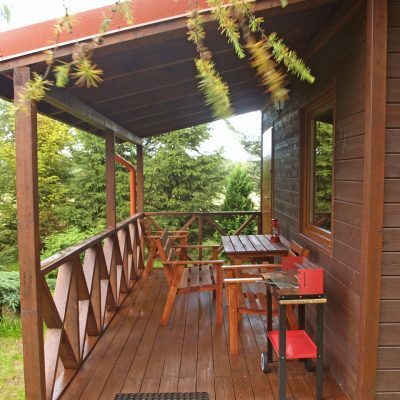 In front of the cabin there is covered terrace with garden furniture and barbecue spot. 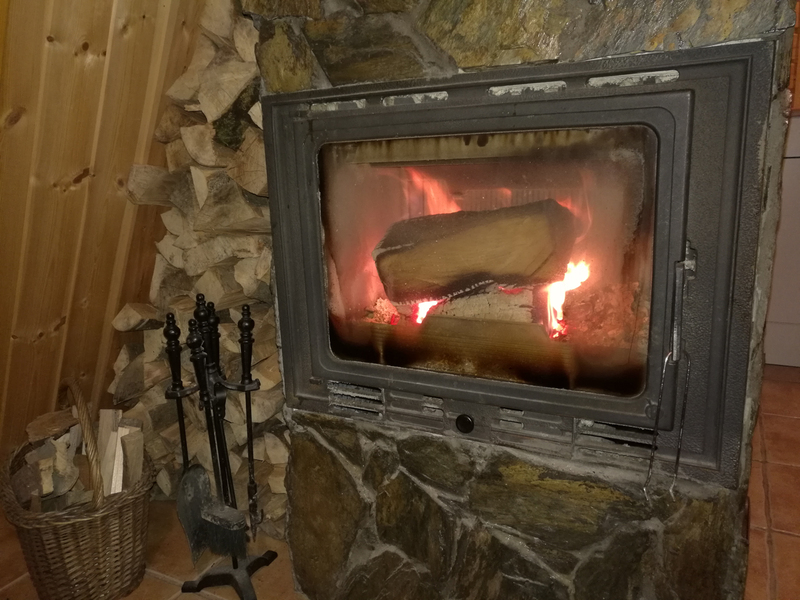 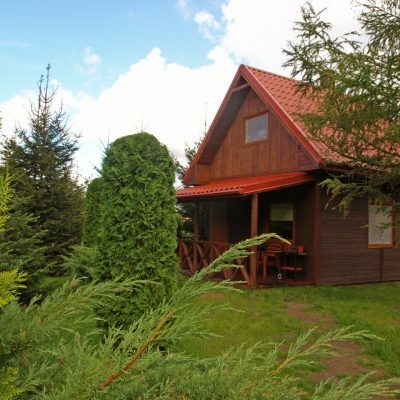 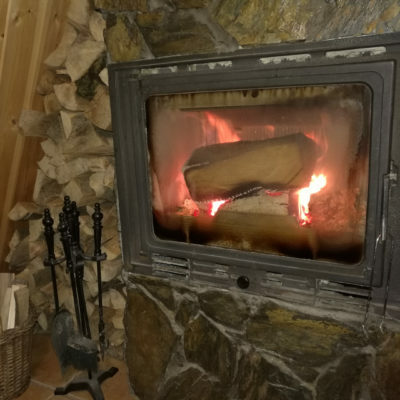 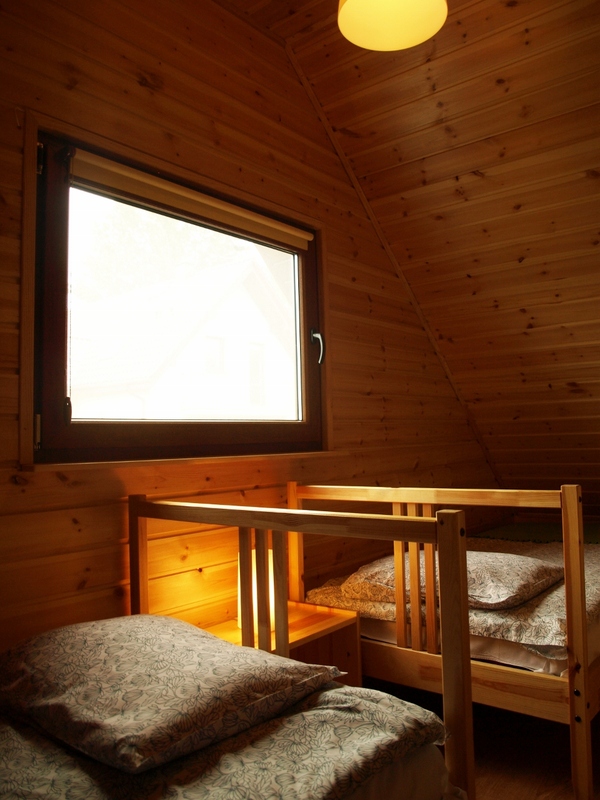 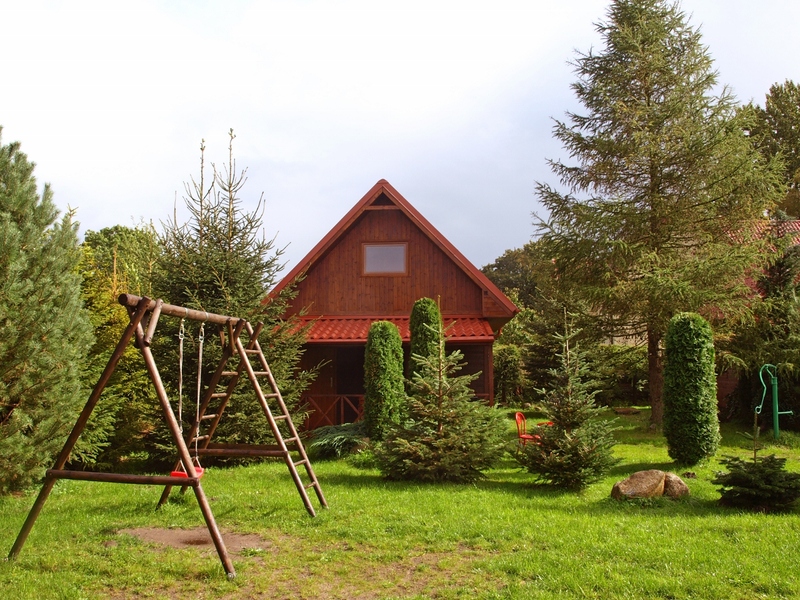 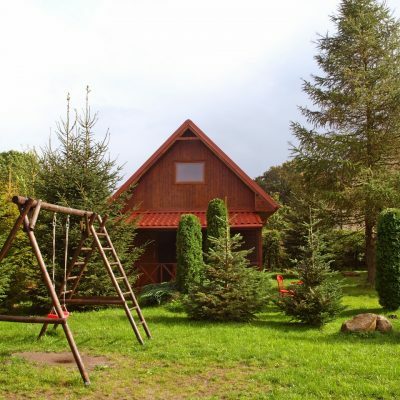 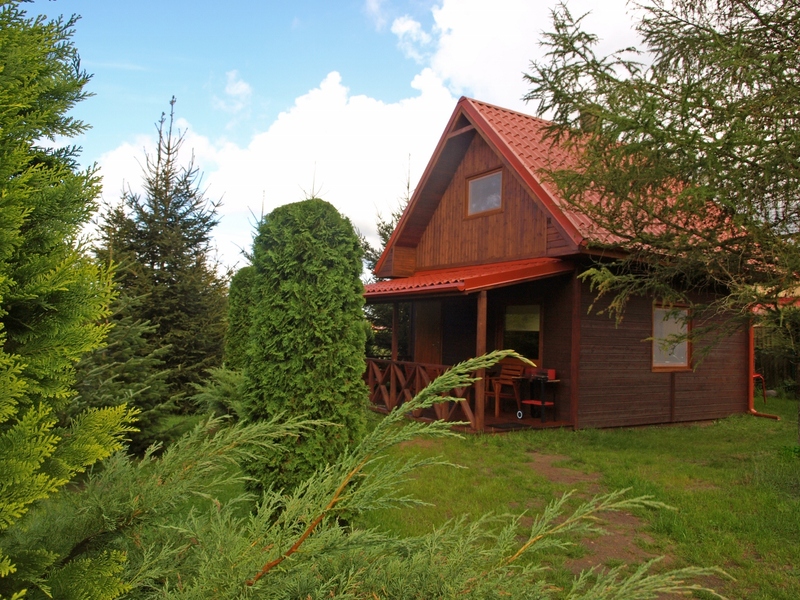 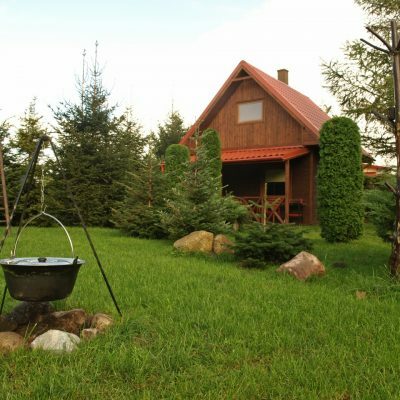 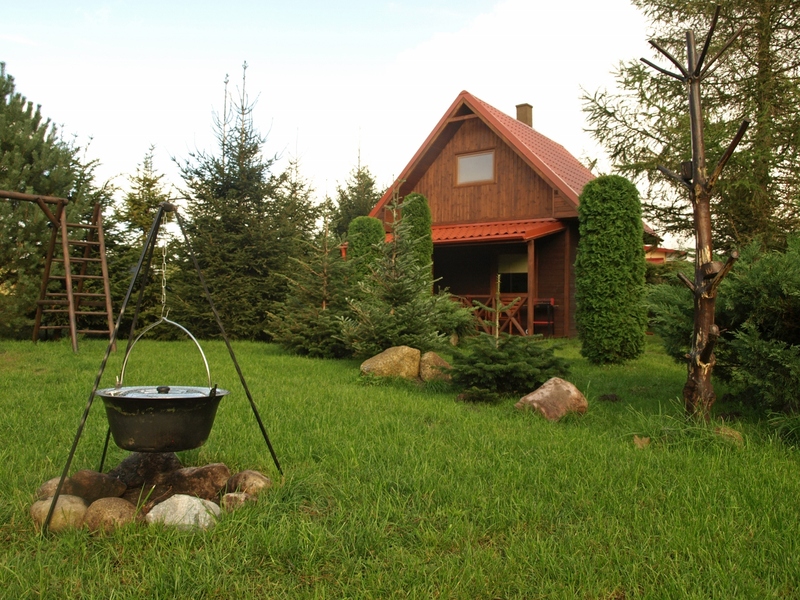 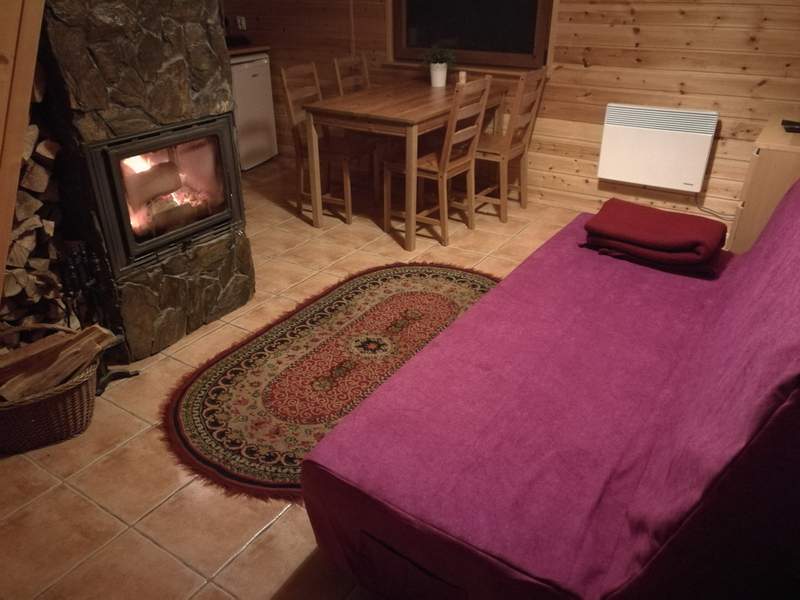 The cost of renting cabin in Kopalino during summer vacation is 250 – 350 zł/day. 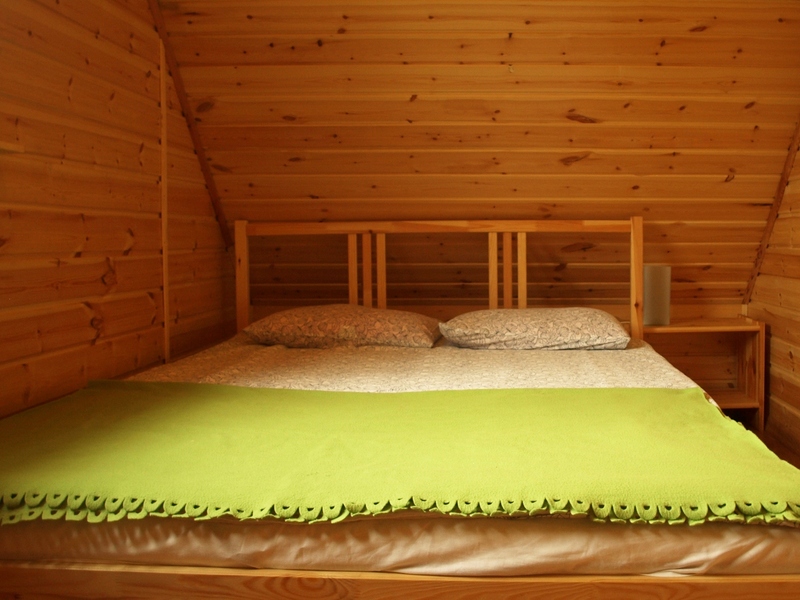 Other – the cost of renting determined individually depending on season and length of stay. 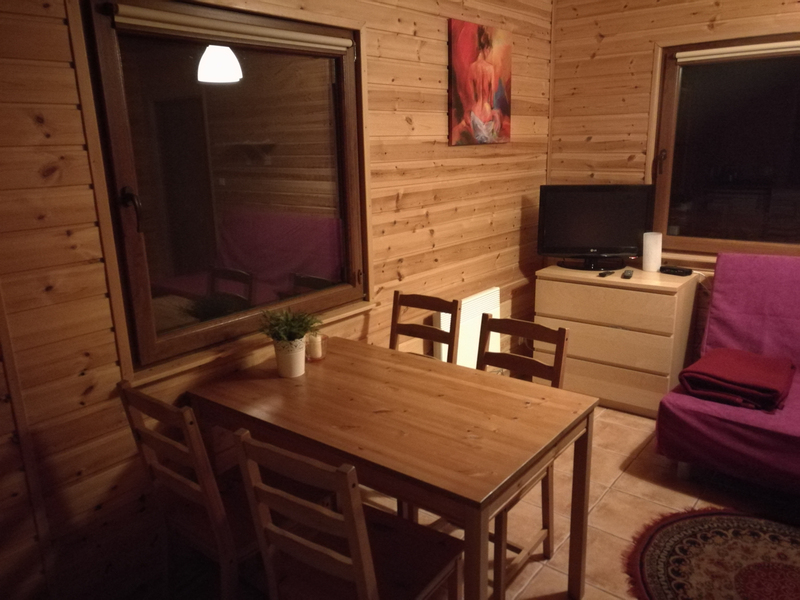 From 22.06.2019 to 31.08.2019 – only weekly rentals from Saturday.